As soon as Nissan took the wraps off a the new GT-R, a NISMO version was bound to follow and here it is. The changes have focused mainly in improving the dynamics of the car rather than aiming for raw power. Indeed, the the already legendary 3.8 twin turbo VR38DETT is the same power plant found in previous versions. So the same V6 pumping out 592bhp and 481 ft lb of torque. That propels the car to 62 mph (100 km/h) in an eye watering 2.9 seconds. The front end gets a new face courtesy of a revised bumper and grille. NISMO say that this is to help keep the engine and collect more air, without diminishing the car’s aerodynamic performance. 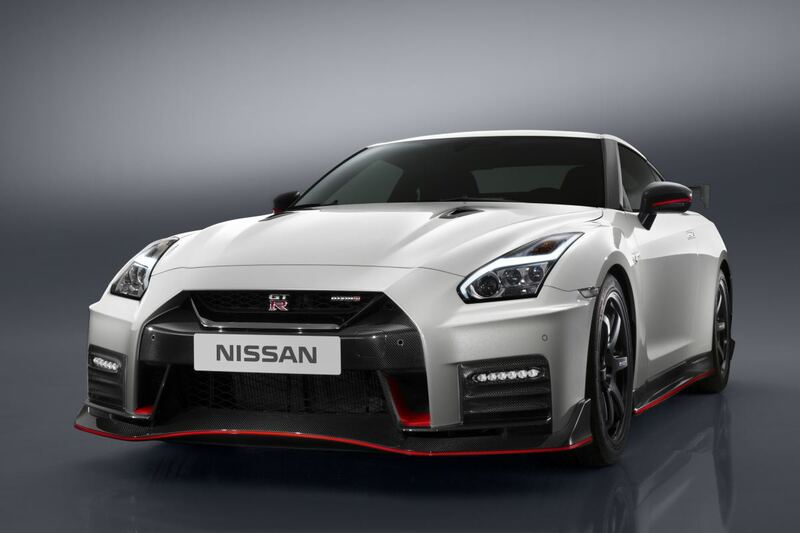 But unlike the standard model, the front bumpers of the GT-R NISMO are made of carbon fibre. The canards have been designed to improve airflow around the vehicle and generate a high level of downforce; while at the same time, direct air around the wheelhouse to improve the aerodynamics. Apparently the car’s new shape generates more downforce than any other Nissan production car to date. NISMO engineers have capitalised on the standard model’s significantly reinforced body by refining the suspension. 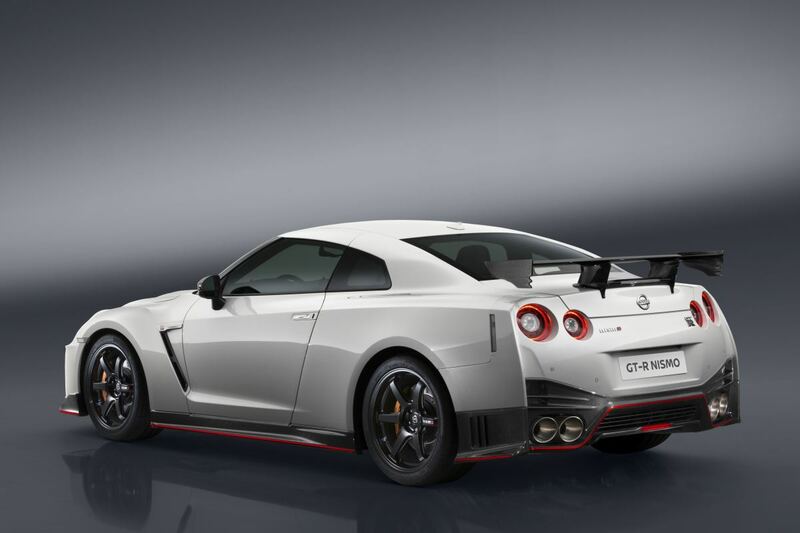 New shock absorbers, springs and anti-roll bars mean this is the best handling GT-R yet. The interior gets some refinements too – a new Alcantara trimmed dashboard, steering wheel and centre console – all with the signature NISMO touches and a set of snug Recaro seats. No prices have been announced. But it’s widely expected to be more than the £125,000 of the previous model.